Freestyle Revolution captures the latest trends with color punch and trendy fit. This raglan sleeve layered look tee will be the go-to favorite in his closet. 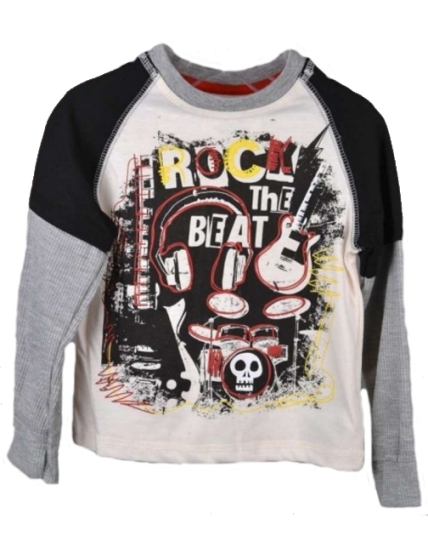 Rock The Beat Screen Print with kid fave images on an ivory background trimmed in gray. Mock black short sleeves attached to gray thermal long sleeves. 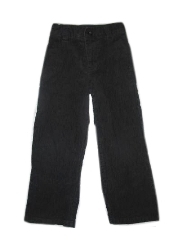 Try the black jeans from Freestyle Revolution to coordinate for a complete look (see the related products below). Runs True to size. Machine wash. 100% Cotton.